Remember what a big deal it was when Dippin’ Dots were brand new? 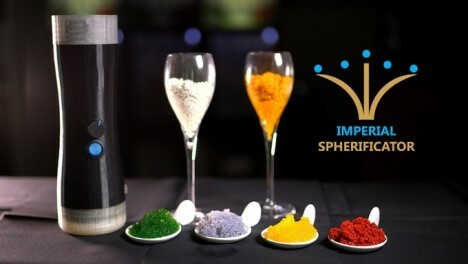 A company called Imperial Caviar & Seafood has developed a handheld tool called the Imperial Spherificator that can do the same kind of thing to almost any food. 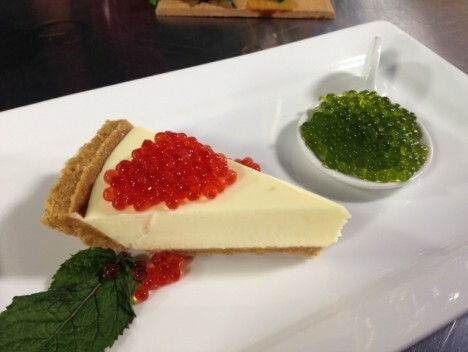 The company already makes a caviar substitute called kelp caviar, and they’re using the same kind of technology to turn everything into fake caviar. The process involves mixing liquid or pureed food with alginate, a seaweed extract, and calcium chloride. The handheld device then cranks out little caviar-like balls of food. 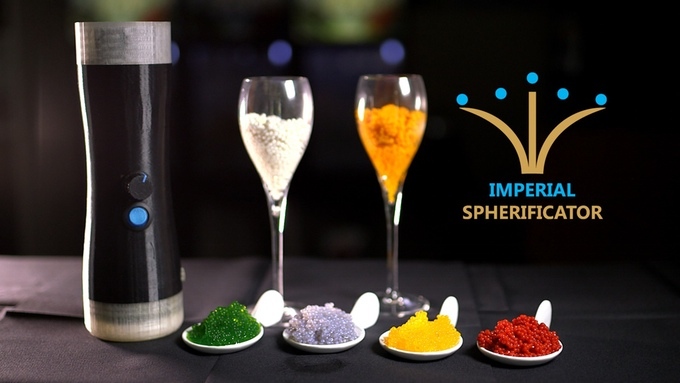 According to the folks behind the Imperial Spherificator, the food “pearls” are highly prized by chefs and foodies because they provide a novel way to add texture and flavor to a dish. 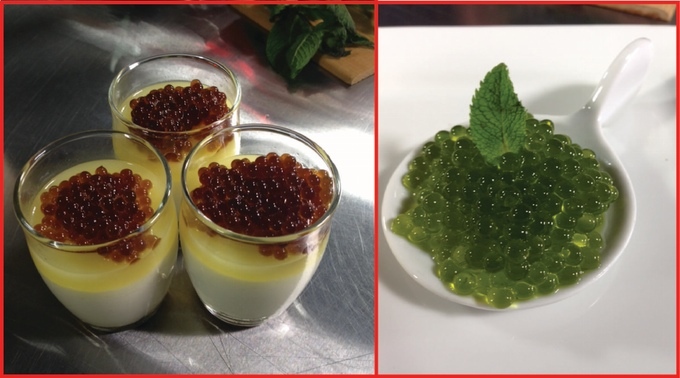 The product website offers up some pretty convincing evidence of that novelty: above, coffee liqueur pearls top a dessert and fresh mint pearls just beg to be added to something delicious. Tabasco pearls atop an oyster are another unique idea suggested for the Spherificator. 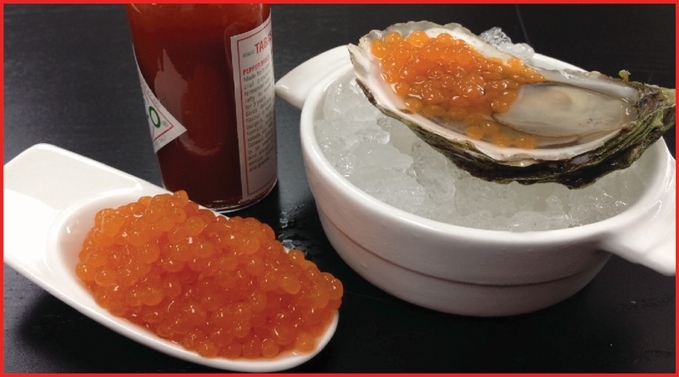 The idea seems to be to take familiar food combinations and turn them on their heads by substituting a traditional ingredient for these tiny liquid-filled pearls. 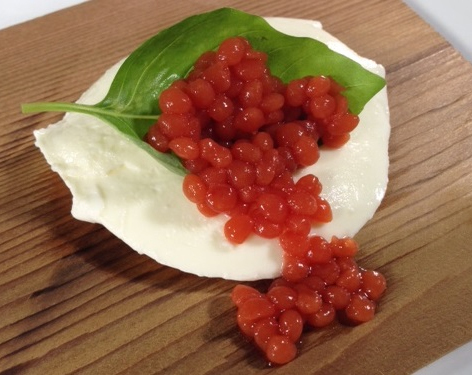 Below, mozzarella cheese is topped with fresh basil and tomato pearls. The Spherificator itself kind of resembles a travel mug. Liquids go in the top, get “spherified” inside, and shoot out through the bottom. For $175 CAD (around $135 USD) you get the device, some alginate, and some calcium chloride along with a recipe booklet so you can start making your own weird little food balls. Maybe we’re jumping the gun here, but this kind of seems like space-age super food to us.